The fashion industry is rapidly changing, and for the better. Each day there are more and more artists and designers trying to find new ways to improve their impact on the environment as well as provide fair wages and working conditions for their employees, and it is making the world a more beautiful place. There are times where some major companies may use loose definitions of terms like “fair-trade” or “organic”, and the two qualities do not neccessarily accompany one another. The thing is, there are no laws behind labeling a product or brand “fair-trade”, so the term can be thrown around quite a bit without any real verification. Fortunately, there are several organizations that third party certify products as fair-trade. 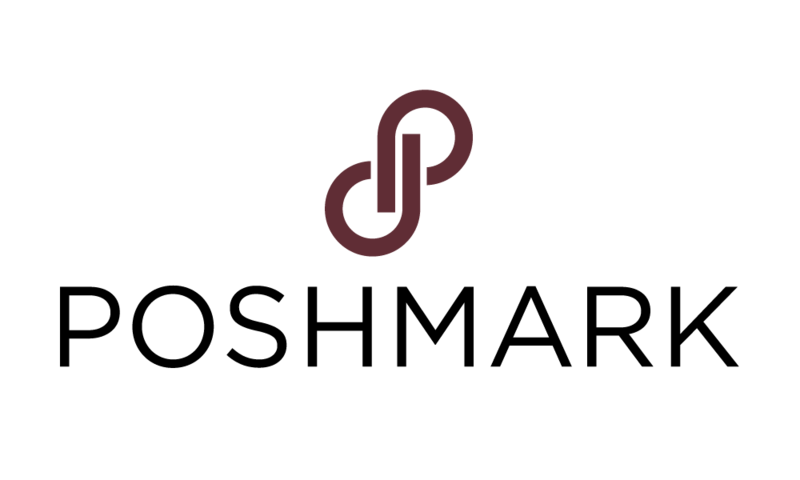 You can look on the tags of garments or usually on the right side of food products for a symbol of verification. But fear not, we have done our research and offer you a list of some of our favorite designers taking strides in the eco-luxe world! Hand-crafted, sustainable, fair-trade, and recycling scrap materials are some of the many aspects that make this a truly innovative and eco-friendly company that we can totally get behind. 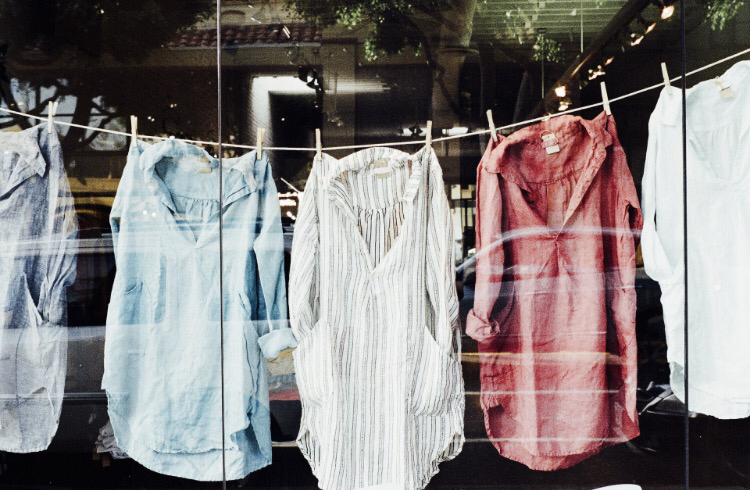 They also use two different strategies when producing garments to maintain a zero-waste philosophy. Plus, they have great little bits of info on each piece such as who it was made by and how to style it. We can all do our part as consumers to help reduce the production of leather goods. But what to do with the leather that has already been produced? Instead of letting it sit in landfills (which can take up to 25-40 years to biodegrade) Looptworks went so far as to upcycle 43 acres of leather from the seats of retired Alaska Airlines plane seats and turned them into hand bags & other carry-on items. Talk about a unique take on repurposing! Having a celebrity endorser or collaborator is one of the most surefire ways to bring attention to a company or product, and when it’s for a positive change, the outcome is all the more powerful. We were thrilled to hear that Pharrell is collaborating with G-Star Raw Jeans, creating awesome designs for both men and women out of plastic salvaged from the ocean. Titania Inglis’ chic and innovative designs are all made in a small NY factory, using sustainably sourced and organic textiles (including Italian vegetable tanned leather). The best part? Many of her garments can “metamorphose” to be worn in a different style, which then reduces the need to produce more. We know there are loads more brands out there making positive changes every day, and the list is just continuing to grow. Stay tuned for more of our favorite innovative designers as we discover them, and be sure to tell us some of your favorite finds! The art of shoemaking has changed drastically over the course of history. In the beginning, and for most of its existence, shoemaking was a well-respected handicraft that was passed on from generation to generation. Since the commercialization of shoemaking in the mid 18th century, shoes are mostly made in large factories on mass scale with almost no differentiation between each pair. This type of efficiency would set the tone for how most shoes are produced now. So HOW could the production of more shoes faster and more efficiently than ever be a BAD thing? Handmade shoes and garments are better for the environment and our communities. Automated machines have replaced jobs that humans used to perform, especially trades such as shoemaking. Improved robotic technology combined with new machinery quickly replaced handmade techniques and jobs for shoemakers who passed their skills on for generations. And although technology can be a good thing, as tools are used in the handmade process as well, it’s important to keep these artisan trades alive in our communities. Handmade items often last a lot longer than commercially made goods. Skilled shoemakers like NICORA often handpick better quality materials including non-toxic, recycled and sustainable materials. Machine stitching is not nearly as strong as hand stitching. Welting done by a machine can’t match the quality and durability of hand welting. While machines mean speed and higher production rates, handmade shoes can provide more comfort and quality. The Sinclair boots by NICORA were designed and manufactured right here in Los Angeles. An animal & environmentally friendly company, NICORA uses domestically sourced raw materials, superior leather substitutes and fabrics made from recycled plastics/textiles. Offering both men and women’s styles, their classic designs with a modern feel are a great staple for any wardrobe. We love the Sinclair boot for it’s classic 90’s feel and we know we’re going to wear them with EVERYTHINNNG. Leave a comment below and tell us how you’d style these babies! Put simply, the idea is to minimize our consumption of products that don’t have a place in improving our quality of life. It’s good for the planet and for your wallet. While some people may take it to the extreme – I will readily admit I doubt I would ever be able to limit my belongings to fitting into a couple duffle bags – I think we can all agree that there’s some clutter in our life that we no longer need to hold on to. And if you’re anything like us, this usually includes a ton of super cute clothes that you’ve likely just gotten your use out of – if you’ve even taken the tags off, whoops. Which raises the next question – what to do with the things you feel are taking up too much space in your life? Luckily, we have a list of resources to help you with just that. 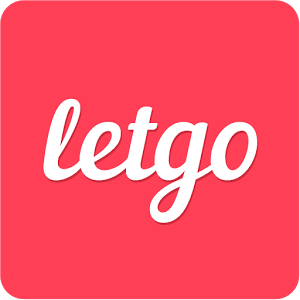 Letgo is basically your go-to for getting rid of any miscellaneous items in your life. You can sell anything from cars to phones to children’s toys, appliances, you name it! If you don’t know what to do with it, just letgo of it. Maybe you have some real quality clothing items that are still in great condition, but might not fit your style any longer or you’d like to replace it with a newer model. If so, Poshmark is the app for you. They also have an awesome feature that lets you join a Posh Party with friends and can create a theme like Girls Night Out. Not to mention you’ll be able to find items from top designers. Need to part ways with some cool art work? Depop. Revising your music collection? Depop. That sparkly neon top that you never found a reason to wear? Depop. Basically on Depop, the more off-beat the better. The awesome thing is that these are all apps that will allow you to get started with minimizing your lifestyle with just a few clicks, anywhere & any time. If you would rather just donate some of your clothes or belongings to organizations that work with those who may not be able to afford your things, we’ve also included some links to locate donation boxes near you as well as companies that may pick up your donations from your home for you. Comment and tell us your favorite ways to incorporate minimalism into your life! If you’re like me, you LOVE a good bargain. The “more-is-more” philosophy was embraced by everyone I knew and advertising agencies thrived on this concept during the 1990’s when I grew up. Naturally, I developed the habit of buying more than I needed, especially if an item was on sale (thanks mom). But seriously, I don’t know anyone who doesn’t feel like they’ve won a prize when they can afford to buy an entire new wardrobe every week at places like Forever 21. Not to mention being able to buy a pair of leggings for $4 (that will inevitably fall apart after about 5 washes) so you just end up buying 20 pairs so they last a year. The concept of mass-producing poorly made garments and is alive and well. I decided to write this post to help myself and other better understand why this way of living is harmful to us, the environment and to our future. There are so many problems that lie within this industry of overconsumption. Not only do companies like H&M, Forever 21, Top Shop and Zara perpetuate the demand for ever-changing affordable fashion, they also exploit + underpay workers and often use toxic materials since they’re much cheaper and still not highly regulated in the garment industry. Companies like Wet Seal, Charlotte Russe and Forever 21 have been found using lead-contaminated shoes, belts and handbags above the legal amount well after legally agreeing to limit the use of heavy metals in their products. Lead exposure builds up in bones, can be released during pregnancy (harming mother and child), has been linked to infertility in women and increases risks of high blood pressure, heart attacks + strokes. With new styles delivered to these stores biweekly and sometimes even daily, the goal is to keep consumers constantly feeling off-trend and in need of new stuff. It’s all a little creepy when you think about it…not to mention how I felt when I found out the truth about TJMaxx and other outlet stores. The reality of outlet and discount stores like TJMaxx, Marshalls and Nordstrom Rack is that their clothes aren’t designer quality at all. They make deals with brands who are willing to put their labels on cheaply made versions of the brand’s regular priced clothing in exchange for a portion of the profits. This means that fashionistas are being misled to believe they’re buying discounted or “out-of-season” merchandise but they’re really just getting lower quality items. These lower quality items are produced in factories where companies underpay its employees and overwork them in poor conditions. These factories aren’t just happening in other countries, they’re right here. The U.S. Department of Labor investigated and recently found workers at a factory in the basement of a building in downtown Los Angeles for wages as low as $4.50 an hour. That’s well under the legal minimum wage in CA which is $10.00 per hour. HOW do they get away with this? The Labor Department can only hold companies responsible that directly employ workers. Retailers like Forever 21 hire manufacturers who underpay workers (and use child labor), relieving much of the legal responsibility to make factories aren’t underpaying worker or violating labor laws. These companies have been involved in countless wage theft lawsuits and show no hope of changing their blame-free business models. Another unfortunate side effect of the fast fashion industry is an unsustainable system of cheap products made of cheap materials that are filling up landfills. Many of these garments are made with synthetic materials that will take years to break down naturally. More than 13 million tons of used textile WASTE is generated each year in the U.S., while only 15% of consumer used clothing is recycled. Meanwhile, nearly 100% of textiles CAN be recycled. With no hope of these brands slowing down, its up to us to decide whether or not we want to be apart of the fast fashion fiasco. How can we do our part? We can choose garments that are made sustainably, last longer and support companies who are fair in their business practices and choose to lower their environmental impacts. In other words, be conscious consumers! We’ve linked a few ethical fashion brands we love below, please comment and share if you loved this post! AMOUR VERT – American manufacturing, non-toxic dyes, sustainable fabrics, a zero-waste philosophy, and above all, enduring style. (15% OFF when you sign up for their email) For every tee purchased, they plant a tree! FREEDOM OF ANIMALS – A sustainable and cruelty-free luxury bag line that uses high quality, luxurious fabrics and materials that are comprised of post-consumer polyurethane and organic cotton– processes strictly follow EPA guidelines, to ensure an eco-friendly product. REFORMATION – Designs and manufactures the majority of their limited-edition collections in their factory in downtown Los Angeles– all other garments are produced by responsible manufacturing partners here in the U.S. or abroad using sustainable methods and materials. UNITED BY BLUE – For every product sold, United By Blue removes one pound of trash from oceans and waterways through company organized and hosted cleanups. I recently picked up this foaming cleanser from ANDALOU, and although I’ve only had the chance to use it a handful of times, I can’t wait to continue using it to see the long-term effects it has on my skin. For starters, I’ve never actually used a foaming cleanser before! So the ANDALOU 1000 Roses Cleansing Foam was definitely a good place to start. ANDALOU is non-GMO, cruelty-free and vegan, so they already had points in our book! This product uses the innovative Nature’s Intelligence Fruit Stem Cell Science. Nature has the ability to adapt & evolve with changes that occur in the environment, and this science includes using potent bioactives on the skin to help it thrive. The roses in ANDALOU products are harvested from the Alpines in Switzerland, and are extremely resistant to high UV radiation, giving your skin the extra protection it needs. As for how it actually felt on my skin, it loosens up dirt & makeup, leaving the face soft & clean without the dry squeakiness that a lot of lathery cleansers tend to leave. The pomegranate brightens up dull skin, while aloe vera adds moisture to bring skin back to life. Overall, it is a gentle, pure cleanse that is perfect for senstive or dry skin. If you’d like to try out the whole line yourself, then be sure to also pick up the 1000 Roses Absolute Serum as well as the 1000 Roses Beautiful Day Cream, all available on their site or your local Target or Whole Foods. Stay tuned for an update on this product after continued use, and leave a comment telling us about your favorite cleanser! We had the rare chance to meet some truly impressive artisan vendors and picked up some amazing finds at Renegade Craft Fair this past weekend. First up is this trendy and earthy geometric mountain shelf. Designed and made locally in California by SKYE O’SHEA COLLECTION, these shelves come in a variety of geometric styles to showcase your tiny treasures. We’ve been shopping for one shaped like this for a while and found a few we liked but these unique designs stood out against the rest. Affordable and made with new + recycled materials, we will probably be ordering a few more in different sizes. These would also make great gifts, pair one with a cute little succulent and a scented candle for a really unique gift. I have to say we completely fell in love with the ceramics by AVESHA MICHAEL who makes one-of-a-kind handmade jewelry and home goods. The level of craftsmanship and love she puts into each piece is evident immediately. We were drawn to the unique simplicity of her designs and the small details that made each piece completely different but still able to complement each other in a set. We decided to take home this adorable catch all dish for jewelry or other small treasures and a tiny succulent planter (OR sake glass). Both pieces have small 22 karat gold detailing so these would also make a great gift! We will definitely be ordering more handmade goodies from this amazing artisan and recommend checking out her shop because things made with love are just better. Last but not least, we picked up some pretty little things from STUDIO GRUN and YEAR 901. These shops were stocked with some seriously beautiful and uniquely designed handmade jewelry. STUDIO GRUN is a Miami based jeweler that is focused on producing quality goods while minimizing their effect on the environment. They’re closely involved in making sure the source and quality of their stones are known while also supporting domestic employment. They also use recycled/reclaimed materials whenever possible and actively try to minimize waste. Their designs are traditional but still contemporary and are casual enough for everyday wear. We picked up a single turquoise stud (yes they sell singles!) and were told that the stone is from India. Check out their shop for more goodies, they can also do completely custom pieces if you already have an idea in mind. YEAR 901 handcrafts all their simple and sustainable pieces right here in Los Angeles. We loved the minimal, unique designs made with locally sourced items and recycled metals + materials whenever possible. These affordable and adorable little gold bar earrings are perfect for pairing with other geometric shaped earrings for that trendy look. The owner explained how she uses traditional metalsmithing techniques and loves making unexpected pieces as well as traditionally popular designs. Check out her shop for more than just earrings, we love her necklaces and rings too! We hope you loved our haul as much as we do! 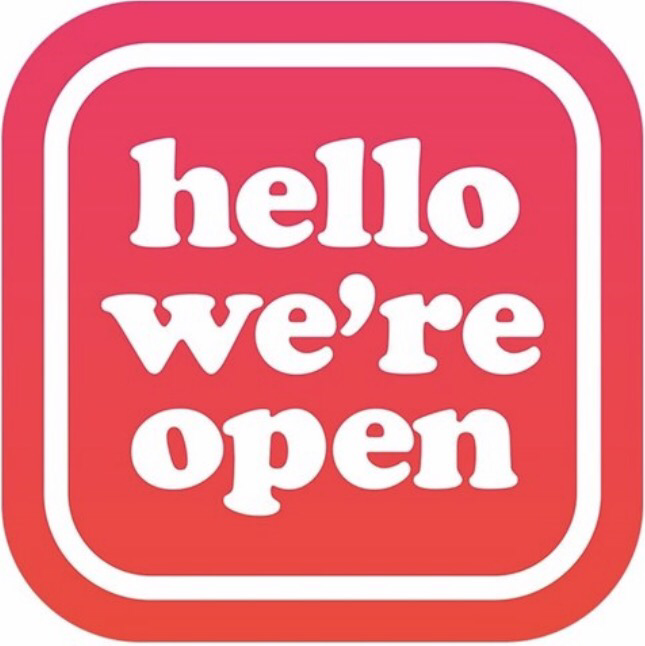 Links to all these shops below– all available on Etsy. Have fun shopping and let us know in the comments if you get your own goodies from any of these artisans! If you follow our Instagram account (you should!) then you’ll know that a while back we perused the natural section of one of our local Targets to find some of our favorite products that would be readily available and affordable for the majority of our followers. Well, one of those items happened to be the ACURE brightening face mask, and let me start by just saying that I love it! This mask is made with Moroccan argan extract and chlorella for thorough rejuvenation. The argan oil in the mask has lots of vitamin E and EFA’s (essential fatty acids) for healing properties as well as anti-aging. This, added with the superfood chlorella – rich in vitamins A + C for added anti-aging – combine to create a totally refreshing pick me up for your face and leave your skin feeling supple and youthful. I felt like this mask was much lighter when applying than some of the clay masks I tend to use, which was a nice change. I let it sit for 10-15 minutes, then rinsed with warm water. While rinsing, the mask quickly lathered up quite a bit which surprised me but felt like a nice cleansing finish! Overall, this is a quality product that I would definitely recommend ordering online or picking up at your local Target or Whole Foods! Let us know your thoughts & other favorite masks! If you are fairly new to using essential oils in your daily life, you’re not alone. I just started dabbling in them about a year or two ago but it’s a great way to use natural remedies for beauty and health. If you only purchase one oil, I recommend Lavender. Lavender oil is one of the oldest beauty secrets and was used widely by Egyptians and Romans in beauty and ritual ceremonies. Lavender has also been studied in a variety of uses including reducing anxiety/depression, accelerated wound healing, aiding in sleep/relaxation and even helping reduce agitation in Alzheimer’s patients. There are literally hundreds (maybe thousands) of ways you can use lavender oil. Diffusing it is one of my favorite ways to enjoy the aromatherapy and relaxation benefits of this oil, I often diffuse it in a small vaporizer during sessions with my clients. I love adding a few drops to a carrier oil and using it for massage to relax and calm muscles. I’m even going to try making my own lavender tea from dried leaves from my own lavender plant. Try to dissolve it if using for skin care to avoid any possible irritation but feel free to add a drop or two to your pillow at night for a great night of sleep. Organic oils can be expensive, but organic is always better if you can get it. Some oils are not pure and may smell different. The quality of the oils will definitely affect the way they work for aromatherapy as well as for skin care benefits. Try to purchase your oils from a reputable retailer (we’ll link our favorite below). Lavender oil is a great way to get started in the world of essential oils and there are so many more uses for it than I’m able to list here. Get a little bottle and try it out for yourself, there are so many free recipes online for making your own oil blends for diffusers, massage oils and more! Let us know if you give it a try or already love Lavender in the comments below! WHERE TO GET IT: we love AURA CACIA oils as they’re easily available at local retailers like CVS, Target and Whole Foods—price varies (also available at www.auracacia.com $14.92).